Today, the Green Mountain Falls-Chipita Park Fire Protection District announces it has joined the Rocky Mountain E-Purchasing System (RMEPS), an e-Procurement solution from BidNet, to help simplify their purchasing process and make it easier for their vendors to access and compete for bids and RFPs. Registered vendors can access bids, related documents, addendum and award information. Today, the Green Mountain Falls-Chipita Park Fire Protection District announces it has joined the Rocky Mountain E-Purchasing System (RMEPS), an e-Procurement solution from BidNet, to help simplify their purchasing process and make it easier for their vendors to access and compete for bids and RFPs. The Green Mountain Falls-Chipita Park Fire Protection District invites all potential vendors to register online with RMEPS to access its upcoming solicitations by visiting http://www.bidnetdirect.com/colorado. 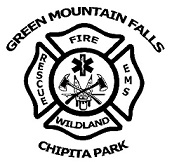 As a member agency of RMEPS, the Green Mountain Falls-Chipita Park Fire Protection District joins a community of over 200 participating local government agencies located throughout Colorado & Wyoming, including nearby El Paso County, City of Fountain, and Colorado Springs Utilities. RMEPS offers a way for the Green Mountain Falls-Chipita Park Fire Protection District to collaborate with like-minded public purchasing professionals in the area in order to share resources and attract local vendors. By joining the regional RMEPS, the Green Mountain Falls-Chipita Park Fire Protection District also benefits from BidNet’s e-procurement technology, which includes bid and vendor management, document and addendum distribution, and tracking of all activity throughout the procurement process.